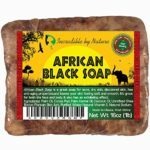 Home / Beauty and Personal Care / Personal Care / Bath and Bathing Accessories / Bath / Bubble Bath / Best Quality African Black Soap – Raw Organic Soap for Acne, Eczema. 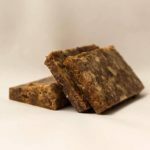 Best Quality African Black Soap – Raw Organic Soap for Acne, Eczema. 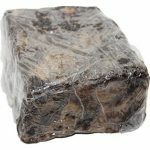 The best quality African Black Soap for the treatment of Acne, Eczema, Dry Skin, Psoriasis, Scare Removal, Face and Body Moisturizer. It is truly a special soap with healing power, skin soother and smooth skin glow ability. This particular brand is a bestselling brand. 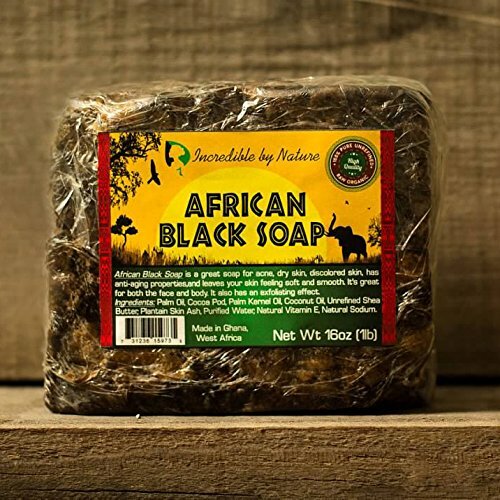 This soap is made in Ghana, an indigenous product common in West African Country. 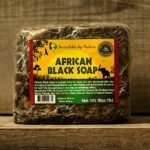 The reviews and testimonials of this product is awesome, it explains why the African Black Soap is in high demand. 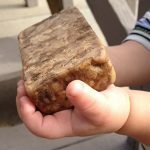 This handmade beauty soap is helping a lot of people enjoy a quality life. 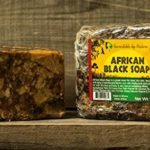 This soap is made in Ghana, an indigenous product common in West African Country. 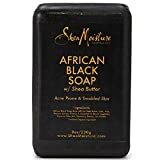 The reviews and testimonials of this product are awesome; it explains why the African Black Soap is in high demand. 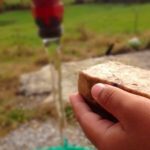 This handmade beauty soap is helping a lot of people enjoy a quality life. 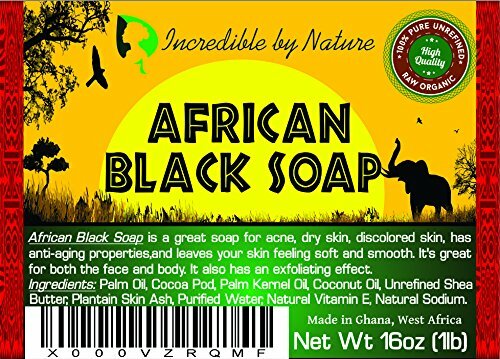 Made with natural ingredients which include an unrefined Shea Butter, Palm Oil, Palm Kennel Oil, Cocoa Butter, Plantain Skin Ash and Water. They all combine to give the skin the necessary vitamins to repair and strengthen the skin. 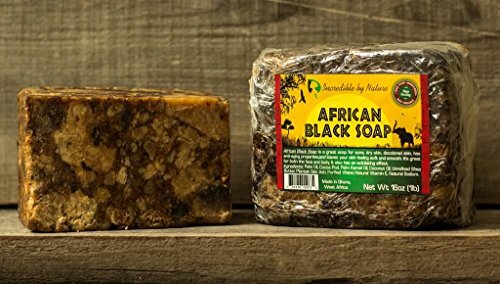 The Shea butter in the African Black Soap contains vitamins A and E that have been shown to strengthen skin and repair damage. Many today use it to heal burns, sores, scars, and to treat psoriasis, eczema, and dermatitis. Cocoa Pod or butter in the soap softens and firms the skin; it has antioxidants & anti-inflammatory properties that fight free radicals, repair & renew damaged skin. Palm Oil is rich in antioxidants vitamin E, it treats acne, burns, eczema & reduces cell damage. The Palm Kernel Oil is high in lauric acid with anti-bacterial or fungal properties; and finally, the Coconut Oil, reinforces the skin’s lipid barrier to lock in moisture, repair dry skin and reduce wrinkles. 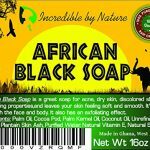 This soap is suitable for all skin types and does a great job clearing eczema, psoriasis, dermatitis, sensitive skin, and rashes. This is because it contains natural properties of the vitamins and minerals that fight free radicals, lock in moisture, heal, and repair as well as strengthen skin cells. It protects the body and restores the skin. Sensitive skins types can use this product; it has a good lather; that creates a bubble for bath. 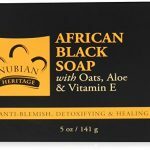 Using this soap will make you an ambassador automatically after you see the effect on your skin. 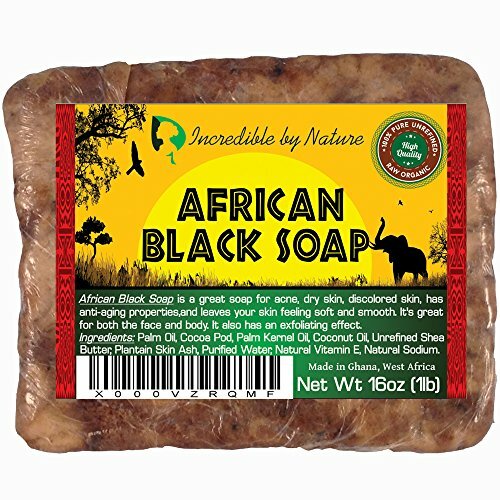 The African black soap does not contain chemicals and other artificial additives; it is 100% pure and natural. 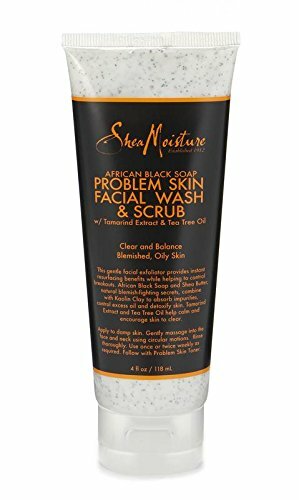 I have the worst combination of oily and sensitive skin and nothing works for me I had a very bad break out from being out in the field and a friend recommended this after trying other brands of black soap I immediately ordered this and it worked wonders within hours I LOVE this !!!!! It works. I don’t know how, but it works. I have pimples and it decreases them over a matter of hours. It’s crazy. I still have them but they are smaller and are going away. At work I wear a hard hat and the chin strap is causing my neck and chin to break out and this is actually helping to alleviate that. I’ve been using it about twice a day for the past week and a half. It still burns a bit, but I’m alright with that — it makes it seem like it is working. 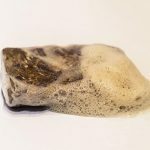 I also used this as a shampo because I had an actual shampoo bar leave a terrible residue that just kept building up. I figured if it burned, it must have something in it that would strip away the residue and act as a clarifying shampoo. Sure enough, it does. I should use it one more time to get everything out, but just using it once was a night and day improvement.